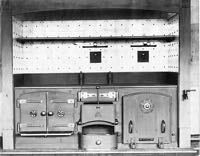 In Victorian times the company made all shapes and sizes of Cookers and Ranges as can be seen on the Stoves Page. 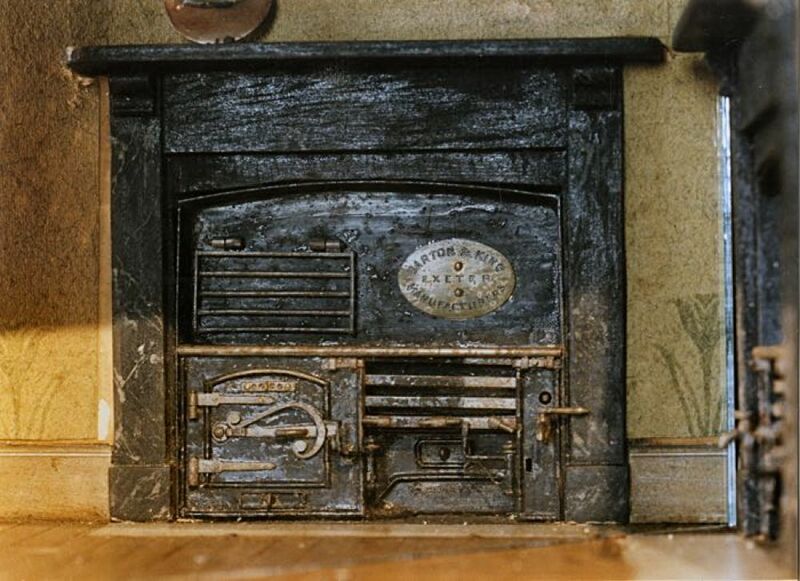 Some of these were intended for commercial use and were installed in Hotels and large Country Mansions and cascaded down in size to what I have always considered to be the smallest, the Cottage Stove. I have recently been proved wrong in my assumption that the Cottage Stove was the smallest to bear the Company Name so I am introducing this new page on what is probably the smallest Victorian Range to bear the name 'Garton & King'. The Duckworth family at one time owned Wear House; now known by most to be the home of the Golf & Country Club, just off Topsham Road. Admiral Sir George Duckworth-King's grandchildren, of which one at least must have been a girl, were given post 1860, a Dolls House modelled on Wear House which had been made by a Carpenter named Beavis who used to work on the Estate. 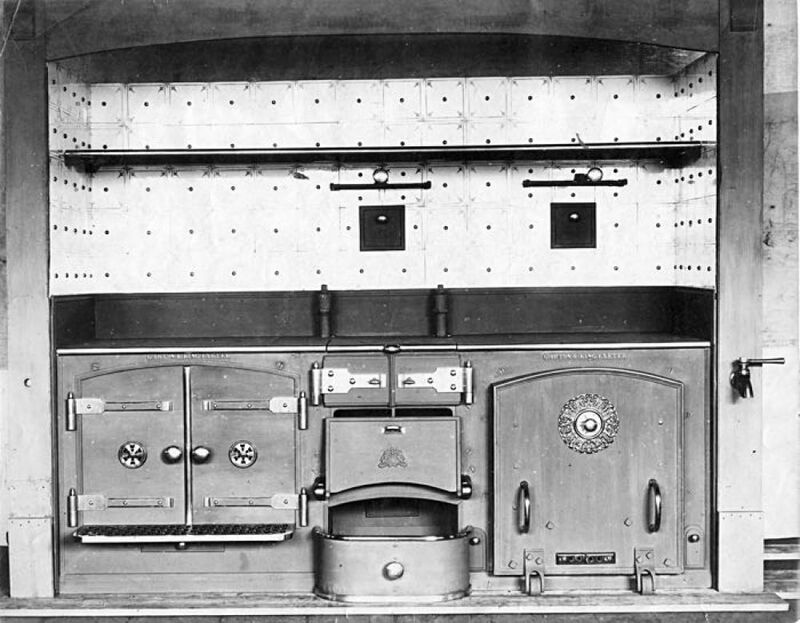 Like all refined properties of the time, the Dolls House includes a Kitchen, and, like all quality kitchens of the time had a Range installed bearing the name of Garton & King – this undoubtedly reflects the discerning choice of the adult members of the family and indeed the name Duckworth does appear in the Stove Sales entries but the date sold and type are unrecorded. On the assumption that the Stove installed in the Dolls House was fitted at the same time the Dolls House was made, having Garton & King on it instead of Garton & Jarvis dates it post 1865. The Dolls House is on display at Topsham Museum, 25 The Strand, Topsham and it was donated to them by Mrs Duckworth-Bradshaw in 1985. 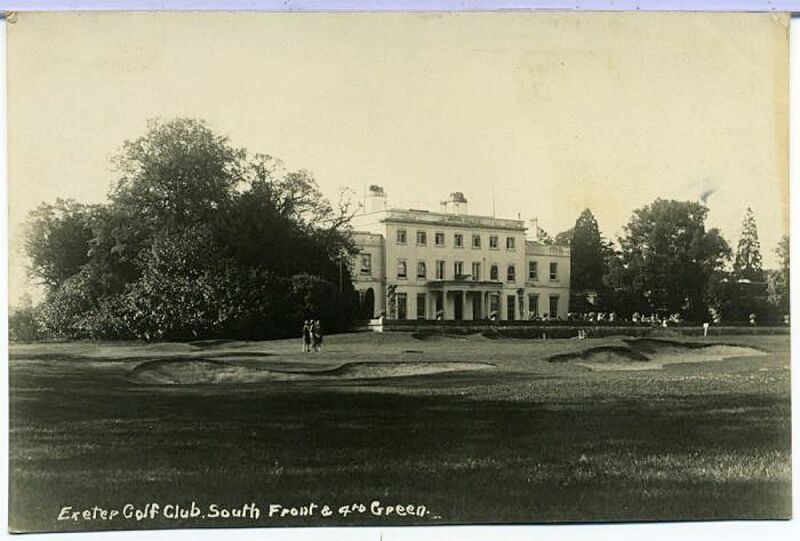 My thanks to them for the information on the Dolls House and for the image of the stove and to David Cornforth for the 1930s image of the Golf & Country Club (Wear House).